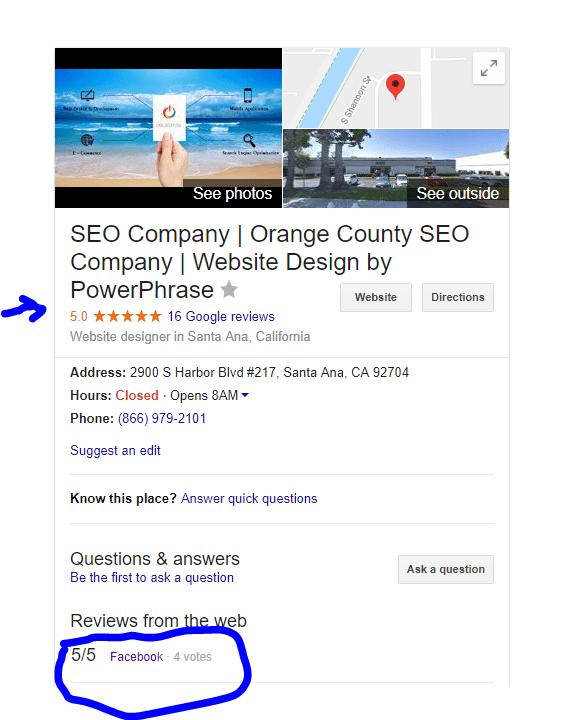 There are many marketing companies in Orange County, especially in California. Here are 5 things to look at when hiring one. 1) Do they have a website? Is it nice? How long have they’ve been in business? Check out their website. Is their site well designed? Does it load up quickly? Is it mobile friendly and easy to navigate? If they are a marketing company, these aspects are quite essential to any digital marketing company that’s in Orange County. If they have a very outdated website, then obviously these guys who are running the company don’t consider this important. A company with a better website must mean they’ve been in business and have had dealt with a good number of clients. Having a well designed and developed website adds credibility. Especially the longer the website has been online then the company seems more legit. 2) Reviews how much reviews do they have? Are they positive or negative? One of the most important factors to determine which marketing company to choose from is the amount of positive reviews they have. #1 review platform is Yelp. Check their Yelp reviews to see what people are saying about them. Also check their Google and Facebook reviews. You should get an idea of their reputation of how they are. Other places you can find reviews are from the Better Business Bureau, Trust Pilot, Yellow Pages and many more sites. It easy to spot which reviews are legit and which ones are fake. Some companies are notorious when it comes to the marketing industry. Check their portfolio of their work. Is it good, great, amazing, crap? See what industries and companies they’ve worked with. Big, medium or small companies? Do they specialize in one specific industry or are they jack of all trades? The process of marketing is different for every business and industry but that doesn’t mean that they can’t help you because they’ve never done a project in your industry. For us, we’ve dealt with clients for the first time in certain industries and we developed and marketed their sites well. It’s always good to give benefit of the doubt. If they’re work is consistent, then it’s safe to assume that they can do good work for you. 4) How well are they marketing themselves? If they can’t market themselves what makes them think they can market for you? What’s the point of hiring them if they can barely market themselves? Check the company’s social media and see if their postings, likes, comments, shares and followers. 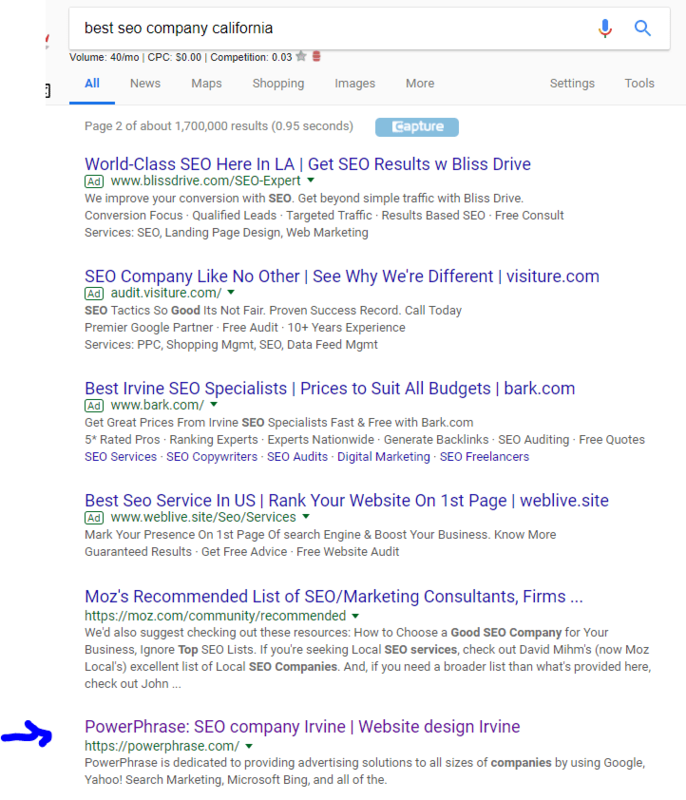 The main thing to see if they are a good marketing company to hire is that they have good organic rankings. Are they on the first page of Google for their marketing services? If they can’t rank themselves well then they can help you rank as well. Also, check their paid advertising. Does their advertising entice you the use their services? If their more easily found through organic search than paid search, then they must be a good online advertising company. 5) They are very salesy and promise you the world then they disappear. You have to watch out for companies like that and unfortunately, it is often too common. Watch out for people trying to make a bunch of promises to you. Anyone who says they can guarantee you being on the first page of Google or drive this amount of number of traffic is clearly speaking out of his head. Digital marketing doesn’t work successfully for everyone. It’s a timely process and is all about trial and error. Some achieve slow success and some achieve much quicker success. Every business is different due to different number of variables. Follow these steps and you’ll pick the right company for your marketing success.